Also with him is his boys Frank and Ryan Next year we should see Ryan's Conqueror 135 Jet! This is Steve and his side kick Harley. 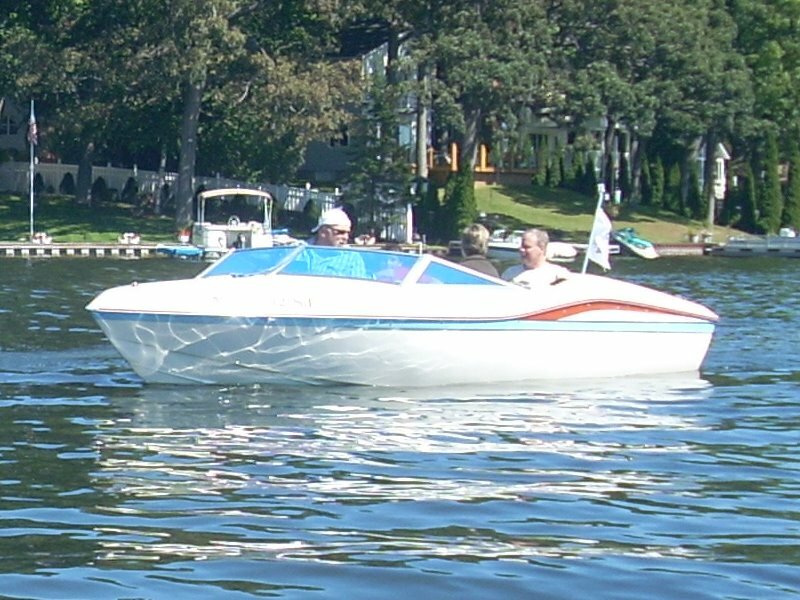 Steves running a Glastron Calson hull with his Chrysler Power, but he has a Chrysler hull he is getting ready.